Biking to work? 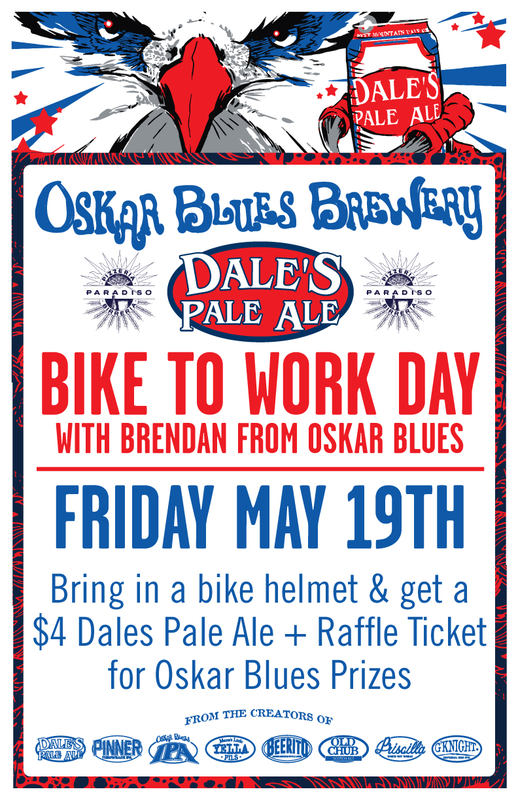 Stop by any of our locations with a bike helmet and get a can of Oskar Blues Dale's Pale Ale for $4. Bikers may also enter into a drawing to win one of five prizes from Oskar Blues & Paradiso.